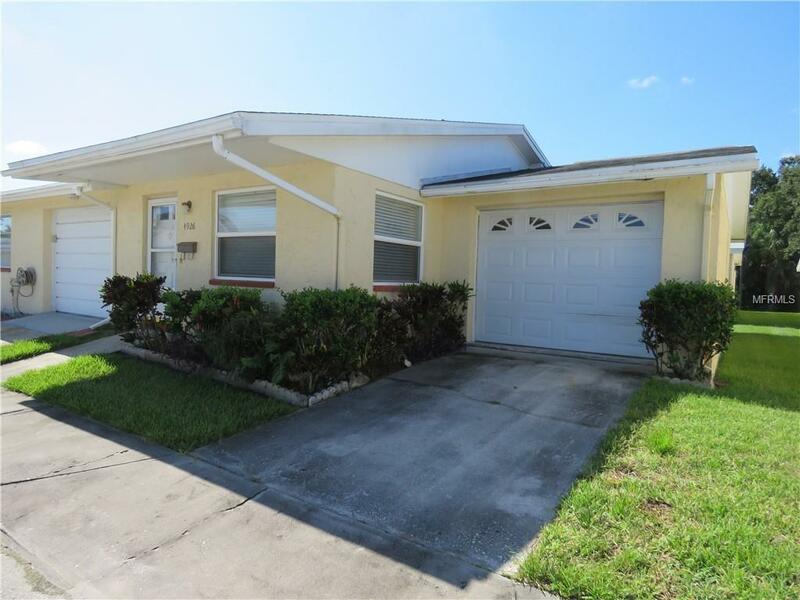 Awesome End Unit located in Desirable Retirement Community of New Port Colony. Located within Walking Distance to Shopping, Restaurants, Banks, Bus Stops and More. This 2 Bedroom, 2 Bath Villa is perfect for you. Walk into the Spacious Family Room with Laminate Flooring. Cozy Kitchen with Oak Cabinetry, Pass Through Bar and Dinette is perfect for those looking to simplify. Master Bedroom has an En suite Bath with walk in shower. Oversized Garage with longer driveway than interior units make this a great option. Community has shuffleboard and swimming pool and if that isn't enough you have access to join the Gulf Harbors Private Beach for $144 a year.